This week’s RuneScape update reminds us that Easter is quite late this year. If you have ever wanted to know what it’s like to shove a tuna in a shark, well you now have the opportunity. 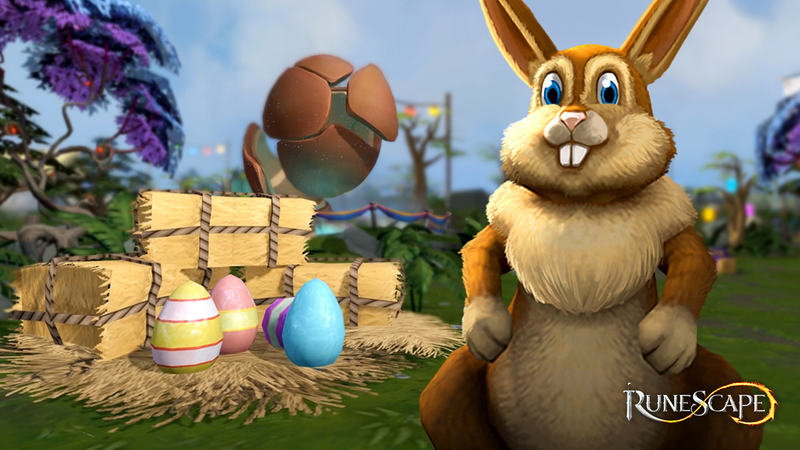 RuneScape’s Easter update is here, and that can only mean more shenanigans with the Easter Bunny. Running through the end of the month, players can support the various guilds through side quests and tasks, with the ultimate goal being to win a mysterious egg found by the Easter Bunny. Donate Rune Coins to progress through the event faster and those coins will be converted into real-world donations to be paid to Jagex’s two chosen charities: The Prince’s Trust and CPSL Mind. Over the course of the next couple of weeks, skilling in the game will reward chocolate shards which can be traded in for further rewards. The Prince’s Trust is a charity in the UK that supports 11 to 30 year olds who are unemployed and struggling at school and at risk of exclusion. CPSL Mind offers a wide range of services to support those recovering from mental health challenges, promote positive mental health and tackle mental health-related stigma and discrimination within the community.